In a year packed with exciting releases like the new God of War and Microsoft’s Crackdown 3, there’s one multiplatform game that has attracted quite a bit of attention prior to its release next week. This is none other than Far Cry 5, the latest instalment in Ubisoft’s long-running shooter franchise, which first hit shelves back in 2004. What’s more noteworthy about Far Cry 5 is the game’s western setting, as this time players won’t be running around tropical islands or Himalayan countries, but rather will be taking on an evil cult in sunny Montana. 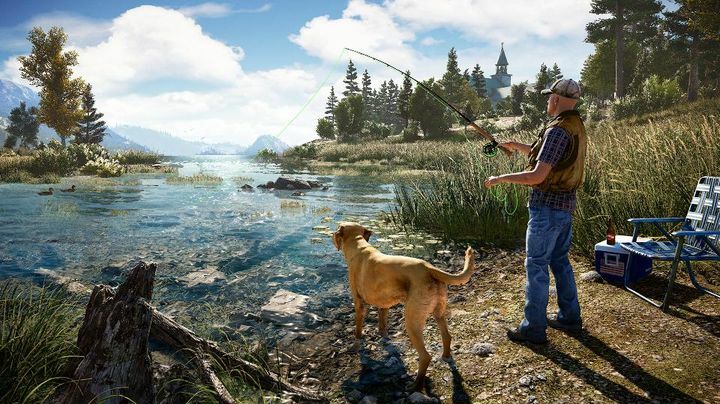 And like previous Far Cry games before it, this will also offer a wealth of side activities such as hunting and races, which should add quite a bit to the gameplay experience too… And while it’s likely Far Cry 5 will offer the same great gameplay and be as much fun as its predecessors were, how long can you expect to spend playing the game? Speaking to GameSpot, the game’s executive producer Dan Hay provided an answer to this question, saying that completing Far Cry 5’s campaign (which can also be played cooperatively with another player) should take people more than two dozen hours. “I would say that a good player will go through it in 25 hours”, Hay said in the interview. Although the Ubisoft man did elaborate that getting side-tracked by optional activities like fishing or hunting can add quite a bit of time to this. “It really depends on how you play”, added Hay. Of course, those that decide to get the game’s season pass will get quite a bit of extra content too. This includes an HD edition of revered classic Far Cry 3 (arguably the best game in the series) and several expansions for the game as was the case with Assassin’s Creed Origins. One of these is even set on Mars, the most original Far Cry setting since 2013’s spin-off Far Cry 3: Blood Dragon. Of course, Far Cry 5 could still be a disappointment in the end, as was the case with 2016’s Far Cry Primal. But it would no doubt be a great thing if Far Cry 5 lived up to the hype, and that its virtual Montana turned out to be a great video game setting when Far Cry 5 launches next week.